Is A Snickers Bar Healthier Than Yoplait Yogurt? This container of Yoplait comes from the refrigerator in the Doctor’s Lounge at my hospital. It is often the go-to snack for busy doctors and health conscious consumers. I used to consider Yoplait about as healthy a snack as I could get. After all, it was low in fat, owned by French farmers and it had pictures of fruit on it. How could I go wrong? The significant other of the skeptical cardiologist (SOSC) made the claim recently that women who felt they were having a healthy lunch by consuming fat free yogurt and salad with sugary, fat-free salad dressing might as well be eating a candy bar. At least they would enjoy it more! Could this be true? 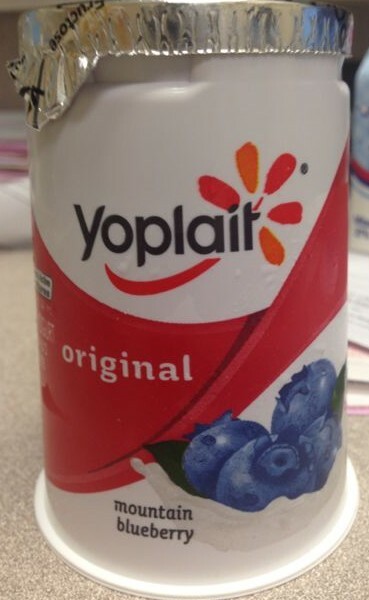 What is now in “original” Yoplait? Original Yoplait has 12 ingredients. They are Cultured pasteurized Grade A Low Fat Milk, Sugar, Blueberries, Modified Corn Starch, nonfat milk, kosher gelatin, citric acid, tricalcium phosphate, pectin, natural flavor colored with beet juice concentrate, Vitamin A and Vitamin D3. Indeed, the fat has been taken out but in its place – added sugar, 26 grams of sugar to be precise. Of the 170 calories you are consuming, 104 of them are coming from sugar. How healthy is a Snickers Bar? A regular-sized Snickers candy bar has a total of 280 calories with 13.6 grams of fat (5 grams saturated fat), 35 grams of carbohydrates (29 grams of sugar) and 4.3 grams of protein. It is made with peanuts, milk chocolate, egg whites and hydrogenated soybean oil. If we ate 2/3 of the bar to make the calories the same as the Yoplait, there would be 19 grams of sugar (compared to 26 for Yoplait) and 8 grams of fat. there is impressive evidence from epidemiological and clinical trials and in vitro studies of beneficial effects of nut consumption and their constituents on the risk of CVD (cardiovascular disease), including sudden death, as well as on major and emerging CVD risk factors. This is because in addition to a favorable fatty acid profile, nuts and peanuts contain other bioactive compounds that provide cardiovascular benefits. Other macronutrients include plant protein and fiber; micronutrients including potassium, calcium, magnesium, and tocopherols; and phytochemicals such as phytosterols, phenolic compounds, resveratrol, and arginine. So, consuming 2/3 of a Snickers bar is arguably healthier than Yoplait. It contains peanuts, which have demonstrable benefits in lowering cardiovascular disease despite a high fat content. 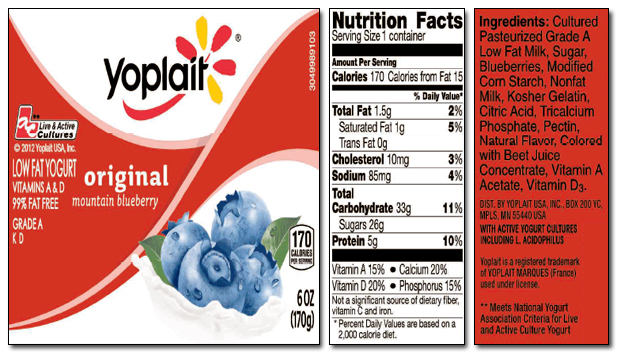 Yoplait has had the heart healthy dairy fat removed and replaced with added sugars. As I mentioned in a previous post, added sugar is clearly related to increased cardiovascular risk. The higher fat and fibre content of the peanuts in the Snickers bar will increase satiety and arguably be less likely to cause obesity due to rebound overeating later in the day. A much healthier choice than low fat, added sugar products like Yoplait (and candy bars) is full fat, plain yogurt (preferably from grass-fed cows) as I’ve discussed in previous posts. It can be combined with real fruit or even with nuts. Full fat yogurt is surprisingly hard to find on a grocery shelf. Even at Whole Foods, the vast majority of yogurt and dairy products are low fat. I’ve only been able to find two brands, Supernatural and Trader’s Point Creamery, which consistently offer full fat yogurt. I do not receive any payments from Snickers nor from Mars, Inc., one of the most known and beloved brands of chocolate. I do not plan on seeing Godzilla, May 16. 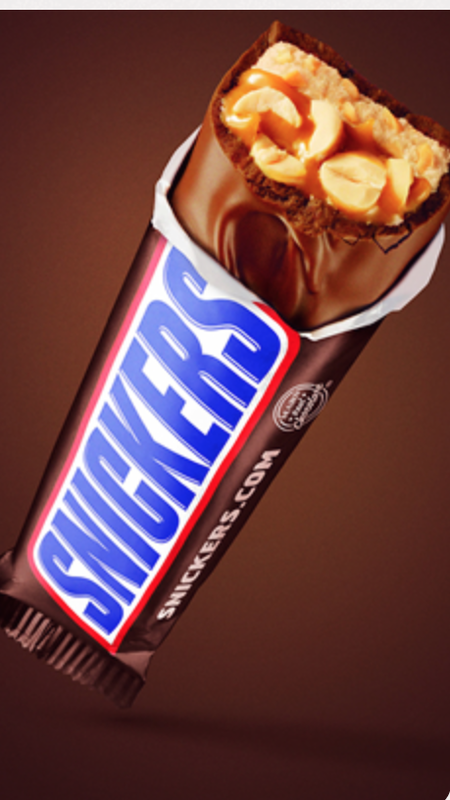 Although Snickers loves you, you do not need to like Snickers.